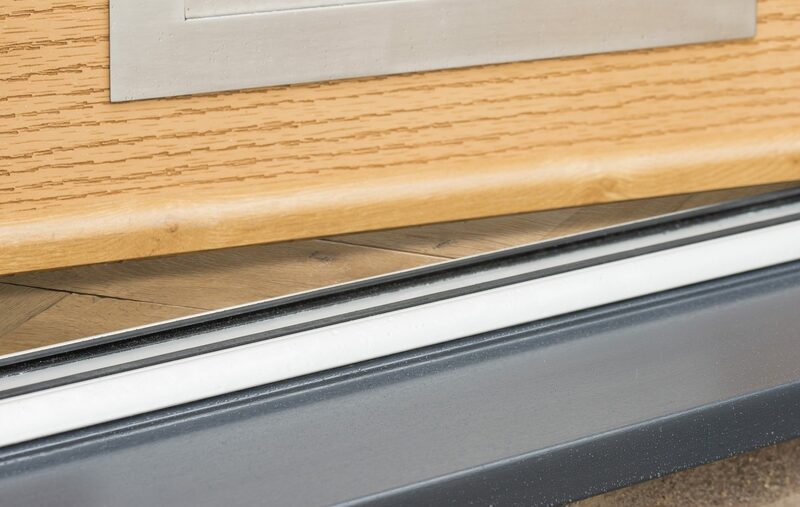 The Monza 5 panel is part of our new Decadence Range which features intricately grooved designs on the outside of the door giving a distinctive, individual design. 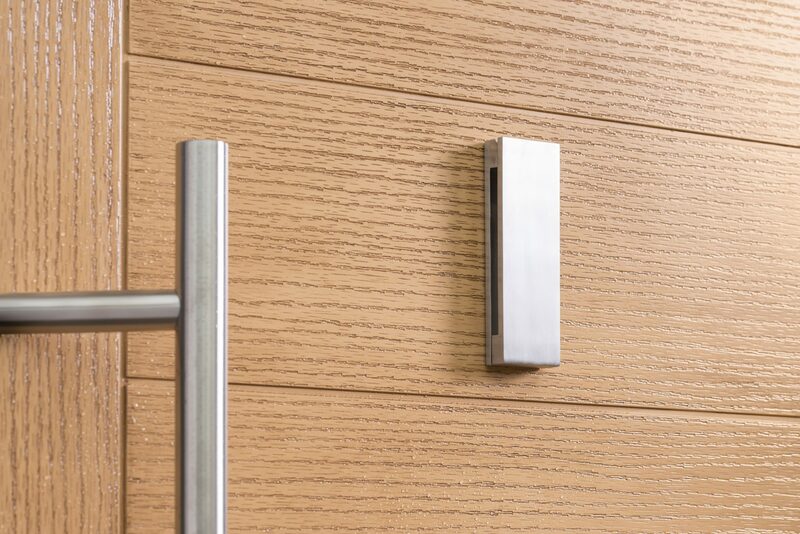 The woodgrain effect texture has the groove pressed when manufactured, and therefore gives a consistent high quality definition. 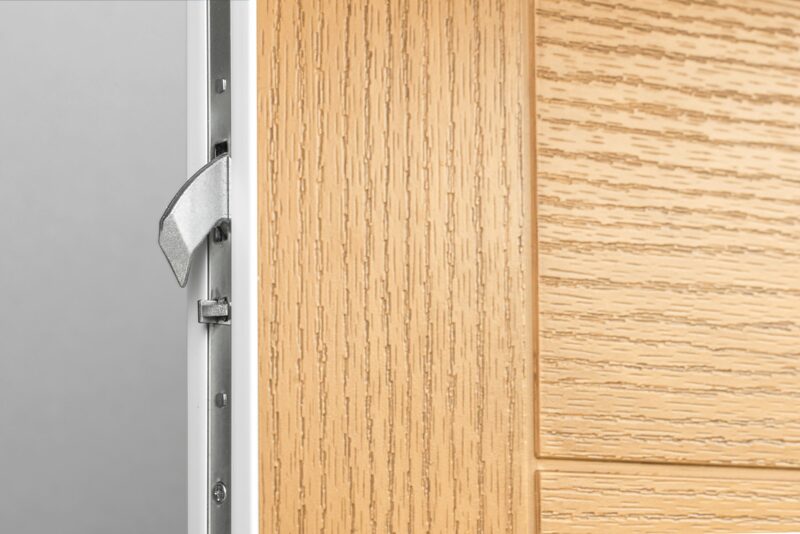 The Decadence door range is now PAS24 Security Tested and approved and Document Q Compliant.The luxury appearance of these designs will enhance the kerb appeal of even the modest of homes, adding a touch of sophistication to your entrance. This range is Exclusive to Force 8 and not available from anywhere else. 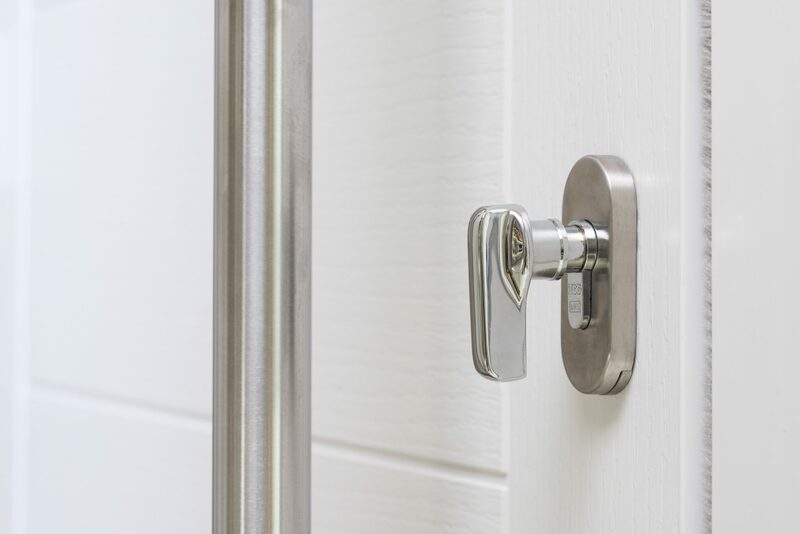 Auto locking hook, when the door is pulled to, the hooks automatically engage. Anti-Drill cylinder, easy to use and very secure. 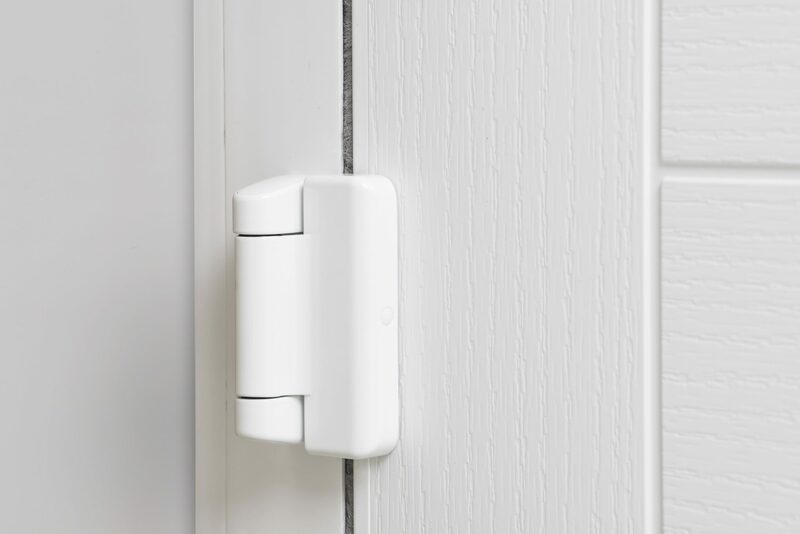 Extra long thumb turn, so the door can be locked from inside with ease. 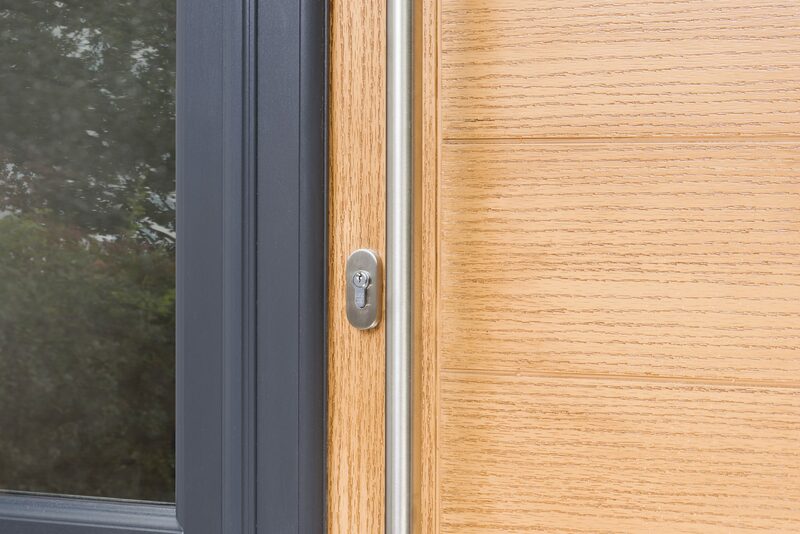 Robust security hinge system with easy adjustment, available in 5 colours. 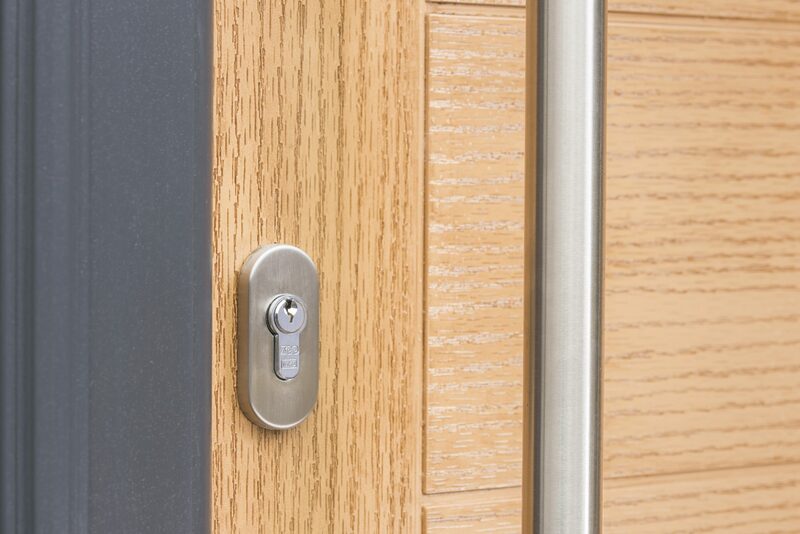 New contemporary stainless steel door knocker, part of our new range of hardware. 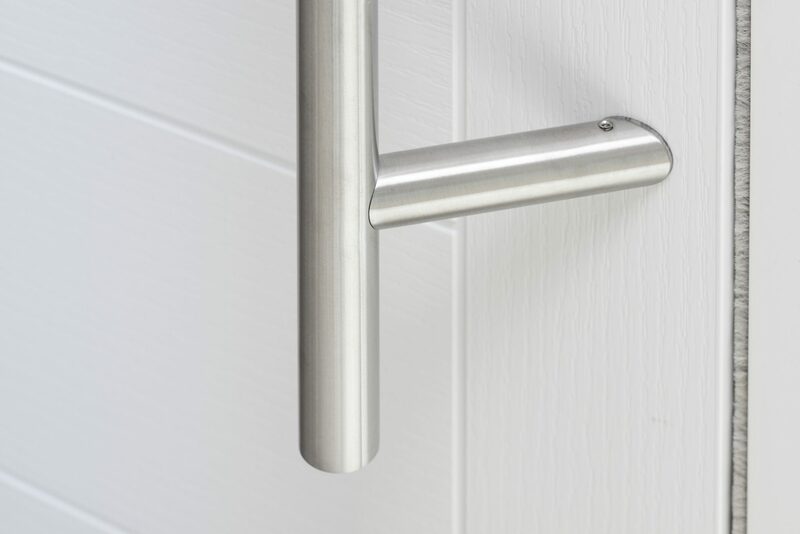 Off set 1600mm contemporary stainless steel door pull handle. 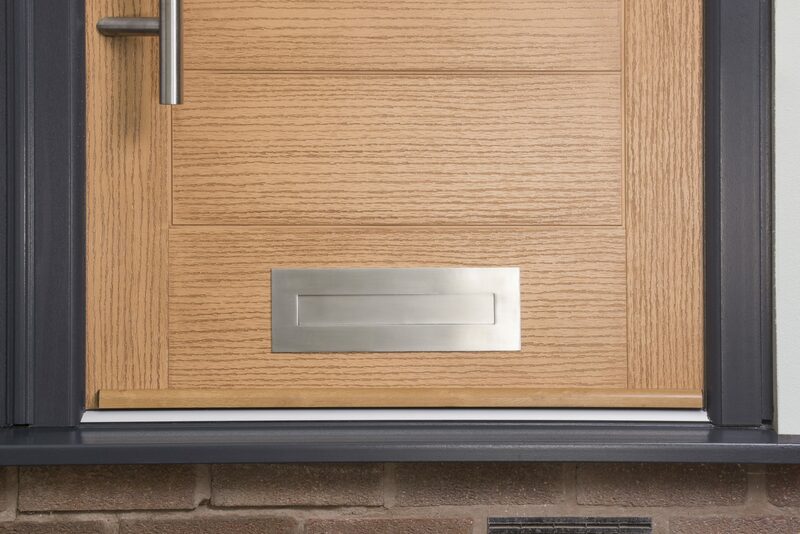 New stainless steel letter plate, with a lifetime guarantee. Low threshold footplate, no more tripping over bulky frames. 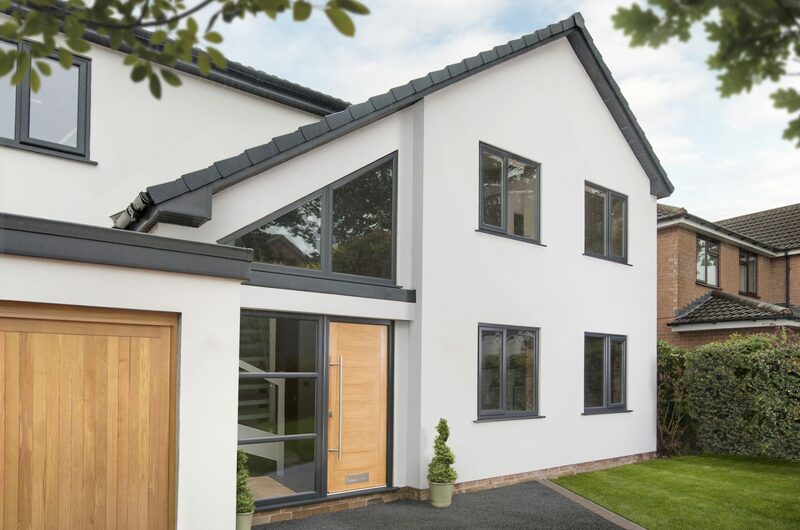 Anthracite grey PVCu frame which compliments the Irish Woodgrain effect.